Have you ever wished there were more birds on your street? Do you long for the songs of the sparrows and starlings? 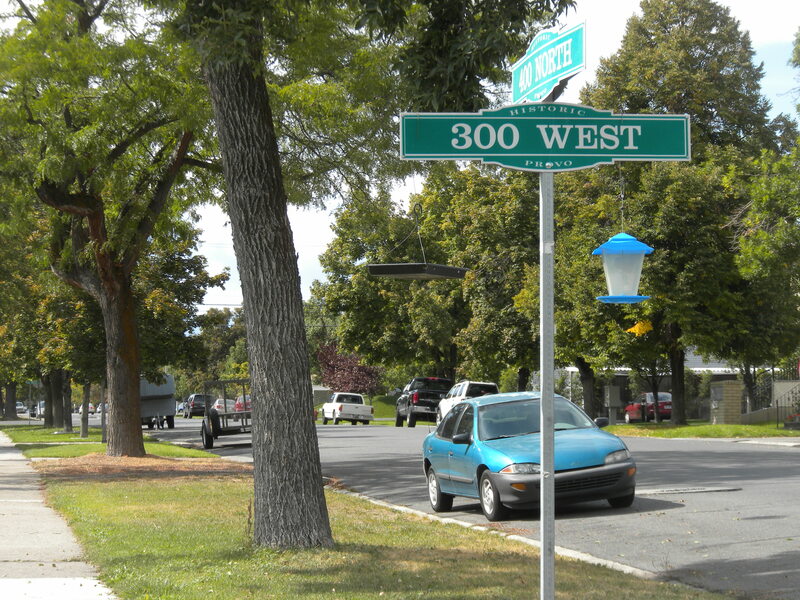 Or, do you sometimes feel like the street signs in your neighborhood are a little too plain? If so, you might want to take a cue from one avian-oriented guerrilla urbanist, who installed a pair of bird feeders on a downtown street sign. Bird feeders on a street sign near downtown. These feeders are hung from wires attached to this sign. Though I know very little about these bird feeders, they’re still great examples of how cities are constantly inspiring people bring little improvements, and innovations, to the built environment. Every few weeks there’s a new story illustrating the correlation between investment in the arts and prosperity. This time, the story comes from Philadelphia. According to Philly.com — which seems to be affiliated with the Philadelphia Inquirer — a new study revealed that cultural activity in the Philadelphia area supports 44,000 jobs and generates $170 million in state and local taxes. The article also mentions that the arts support tens of thousands of jobs in Houston and Washington D.C. as well. These points reminded me of a recent economic development meeting I attended. During the meeting, a couple of consultants were trying to figure out what Provo could do to spur more economic growth. There are many possible strategies to accomplish that goal, but as Philadelphia — as well as several previous posts — demonstrate, the arts are one thing with a proven track record of success. 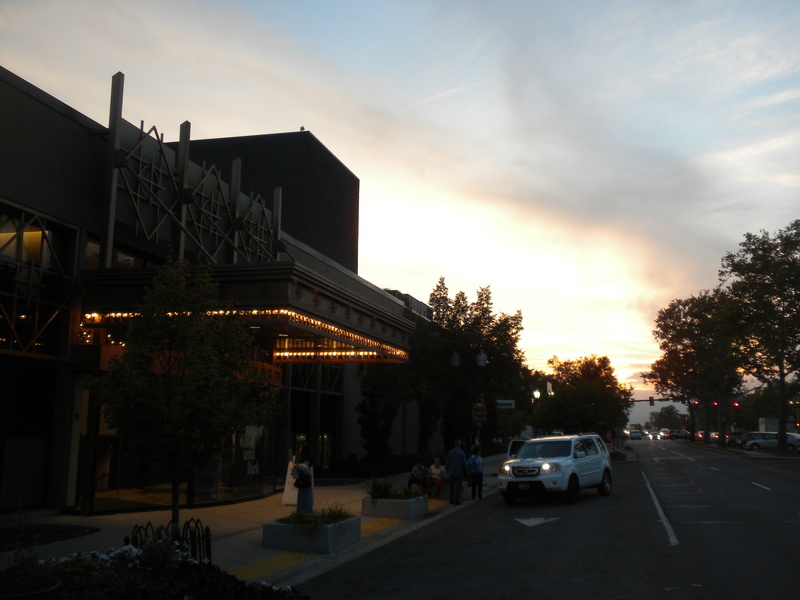 The Covey Center for the Arts in downtown. The Tribune’s Lee Davidson reported yesterday that planners are encouraging cities to build denser, more concentrated developments around public transportation. That’s positive news and should result in significantly better cities along the Wasatch Front. But reading the article, I couldn’t help wondering if we’re still slightly missing the point. While commuter rail and transit hubs are wonderful, they tend to focus on reducing car use for longer trips — going from city to city, for example — while ignoring more common short trips people make while driving around town. 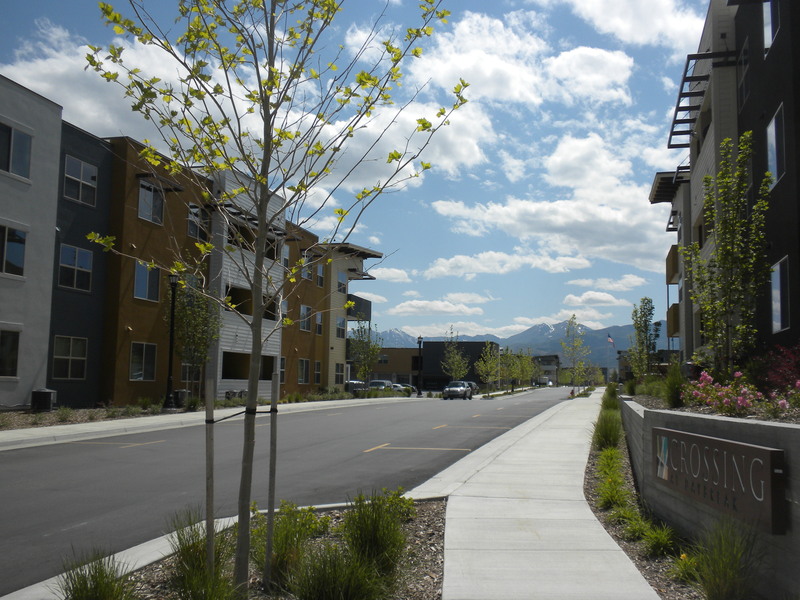 Take Daybreak, for example, the sparkling new suburb in south Salt Lake County that I’ve criticized several times in recent posts. Daybreak gets a lot of things right. There’s rail linking it to Salt Lake City, much higher density than most suburbs, and a stated interest in sustainability. In many ways it’s a great place. The problem, however, is that planners in Daybreak — as well as nearly everywhere else in Utah — have seemingly ignored shorter trips. With sprawling neighborhoods, few mixed use buildings housing necessities like grocery stores, and a few big arterial (st)roads, users still have to get around by car. Sure, those car trips may be shorter than in traditional suburbs, but they’re still happening and current rail doesn’t change that fact. In fact in most Utah cities, people have to drive to get to public transit in the first place. Daybreak includes laudable efforts to increase density, such as these apartments. But at least so far, there are few destinations — basic stores, entertainment, etc. — within walking distance of these buildings. Hopefully that will change, but in the meantime some of the benefits of the density are lost as residents make local trips via car. And unfortunately, people tend to drive around town a lot more than they drive to neighboring cities. Figures vary depending on who collects them, but according to GOOD, “nearly 70 percent of American’s car trips are less than two miles long.” Smart Growth America and the Sierra Club are both a bit more conservative, saying that nearly 50 percent of car trips are three miles long or less. No matter how we slice it though, we tend to make a lot of really short trips around town in our cars. We drive to the store, to drop kids off at school, or to restaurants. 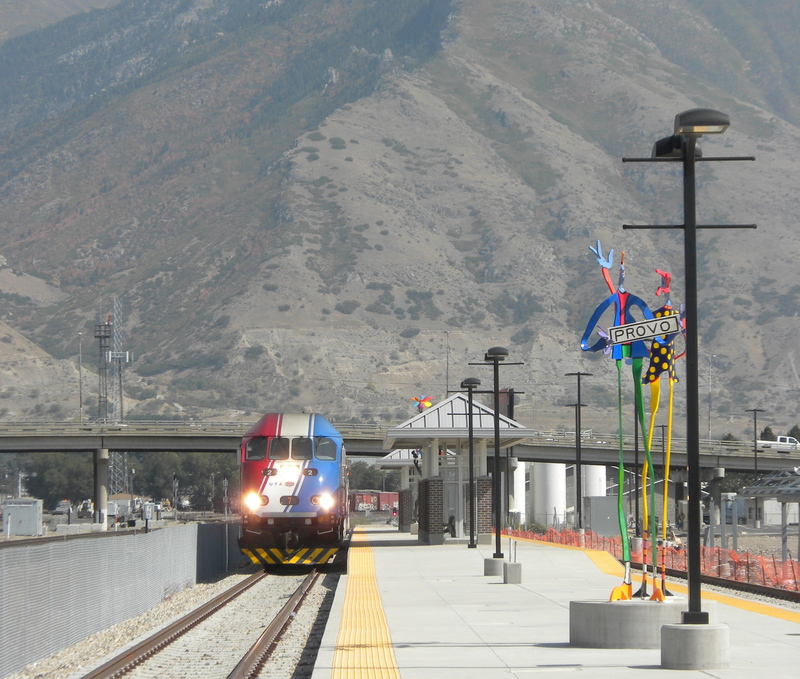 And unfortunately, new rail systems — in Daybreak, Provo or elsewhere — are unlikely to change that. The oddest thing about this whole situation is that building commuter rail systems is really expensive. It requires leveling land, building bridges, and laying hundreds of miles of track. 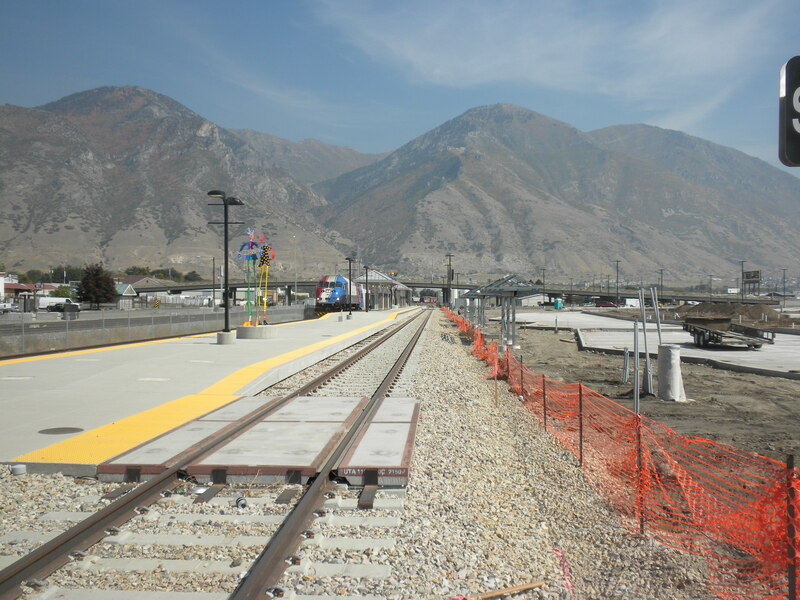 Some people will use this commuter rail station in Provo to go north for work or play. But most of the time we spend in transit is more local, where this train doesn’t go. That means we’ve spent a lot of money to make a minority of our trips greener and more convenient. By contrast, allowing developers to build infill in existing neighborhoods, then adding a bus line here or there to serve the resulting density, barely costs the public anything at all. In other words, we’re chasing more expensive, government funded options while ignoring the cheaper, more effective, and privately funded options that have been available all along. The point is that much of the attention on transit in Utah right now focuses exclusively on replacing long car trips with long train trips. That’s great, but we also need to look at replacing short car trips with short walks, bike rides, or bus trips. Ultimately, without a decent intra-city public transit system, as well as the density and walkability to support it, building commuter rail is like trying to bake bread without yeast: it just won’t rise. A TRAX light rail station in Daybreak. It’s great that this exists, really, but clearly the idea is that people will have to use cars to use public transit. The goal, however, shouldn’t be brief car trips, it should be no car trips at all. Provo’s new recreation center will be operational within six months, according to my colleague Genelle Pugmire. City leaders seem understandably excited about the new facility, and deputy mayor Cory Norman reportedly learned from a consultant that it was in the “98th for high ratings on rec centers throughout the country,” whatever that means. 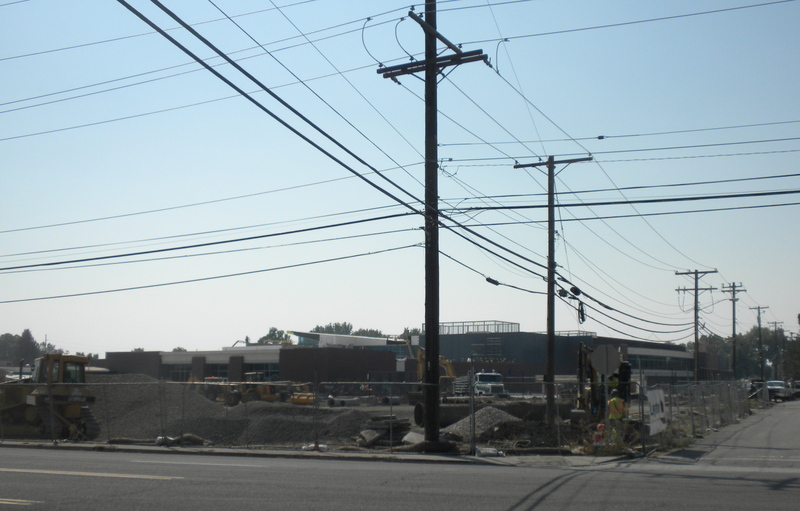 Construction on Provo’s new rec center. This facility should be operational in six months. Norman is working with a special committee on raising funds to help pay back the bond on the center earlier. Naming rights for rooms and areas of the center are for sale depending on the area of the center. Norman said, businesses, family foundations and others willing to contribute to the building will have special plaques put up about their history in the room they are sponsoring. I’ll be interested to see how that plan unfolds, but whatever happens it’s an example of leaders trying to innovate ways to improve quality of life at the lowest possible cost. And that’s something that should make everyone in the community happy. Back in May, I quoted Slate’s Matthew Yglesias as saying that transit stations often dramatically “increase the value of station-proximate land.” Now, just months later, that phenomenon is occurring in Draper and offers useful lessons for neighboring cities like Provo. According to the Salt Lake Tribune, the Draper city council is trying to create a Community Development Area Plan, which will stimulate growth around the city’s train station. The area would include an Ebay complex, commercial areas, dense residential buildings, walking and hiking trails. In 20 years, it is estimated to bring $1.2 million in proposed developmental value. The Draper example has at least two noteworthy implications for Provo. The first is that the land surrounding the new intermodal hub is a likely spot for development and cities need to actively pursue options. 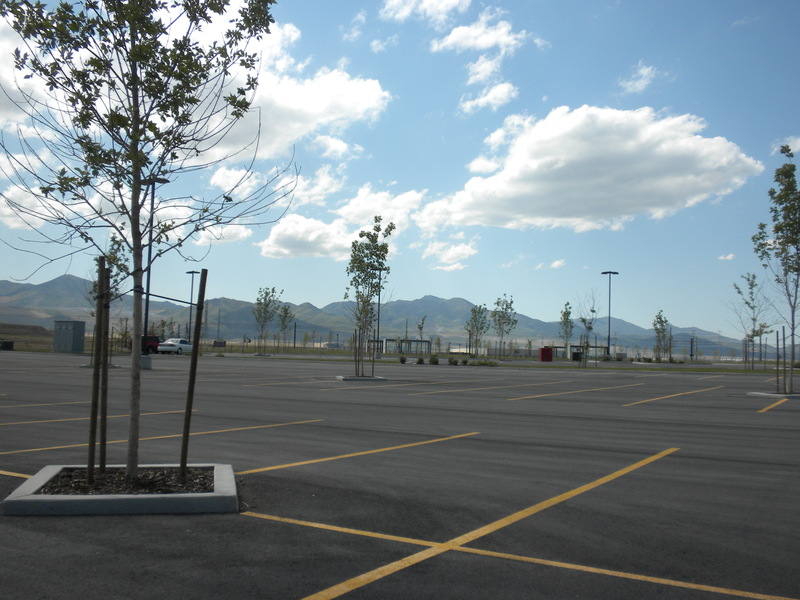 If that seems a little obvious, keep in mind that Provo is currently building a parking lot around its transit station and the area remains appallingly unwalkable and plagued by blight. The situation will surely improve with time, but these issues aren’t immediately fixing themselves and cities like Draper prove that being proactive can pay off. Perhaps even more tellingly, the article also points out that barely anyone showed up to discuss the development. Taken together, these points suggest that people may simply be unfamiliar with what high density, transit-oriented development actually looks like or why it matters. That lack of awareness, or interest, may make it difficult to actually fast-track development. The point here is that with the arrival of commuter rail cities like Draper and Provo have incredible potential. Actually capitalizing on that potential, however, will require a combination of smart development and effective public outreach. BikeProvo.org published an update yesterday regarding efforts to get Provo on the League of American Cyclists’ list of cities that are good for bike riding. According to the post, the effort began more than a year ago and included a lot of work from several of Provo’s bike activists and gurus. All that’s left now is the league’s answer. All that hard work isn’t for nothing. 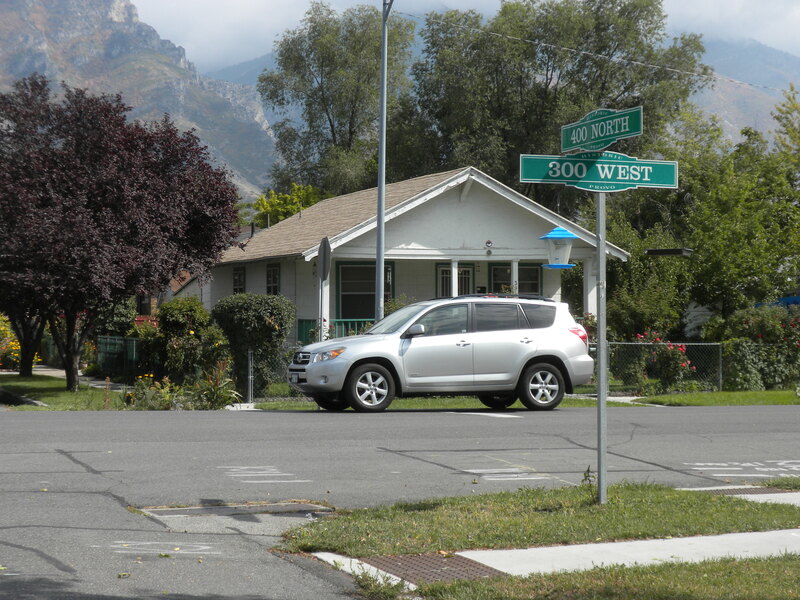 Becoming a bike-friendly city could be a big deal for Provo. Yes, we would be listed on League of American Cyclist publications and would get to put up two Bike-Friendly Community signs. To those points I would add that that biking has been shown to save lives, increase city prosperity, attract young people, and save money for cyclists and non-cyclists alike, among other things. For all of these reasons, the work being done by the Provo Bicycle Committee is a major boon for the city. 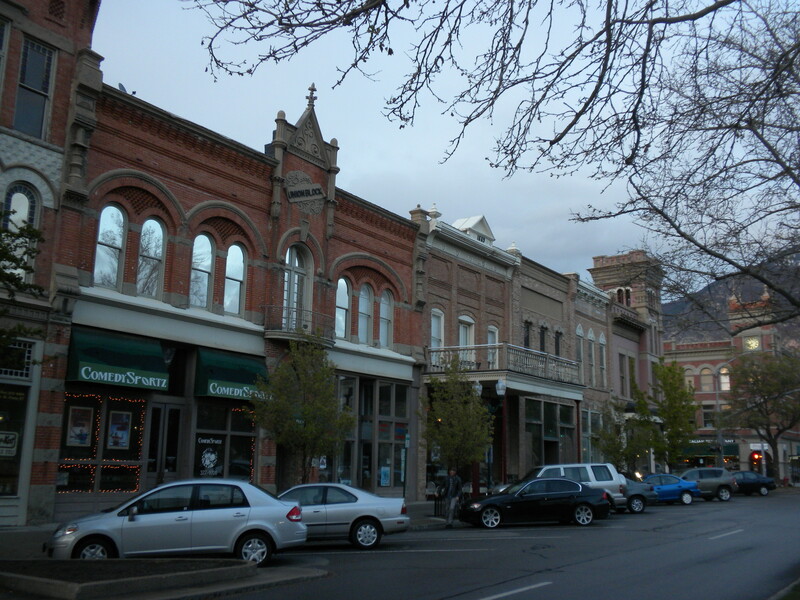 Provo is in the process of being recognized as a bike-friendly city.